Panini has done some subtle design modifications to Totally Certified Basketball, taking what were already impressive cards and making them even more appealing. HRX video cards return Kobe Bryant and Kevin Durant returning for their second card along with Kyrie Irving and Anthony Davis who take the place of Blake Griffin and John Wall. With plenty of rainbow collecting potential and a wide range of hit pulls, 2012-13 Panini Totally Certified Basketball makes a welcomed return after being absence from last year’s release calendar. 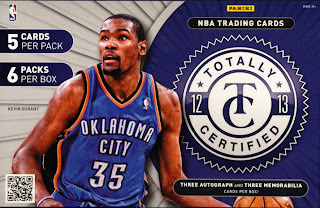 Totally Certified Basketball falls into our premium cards category. Each hobby box contains 6-5 card packs. Each box contains 3 autographs and 3 memorabilia cards. Often new releases require a year or two to work out the kinks. 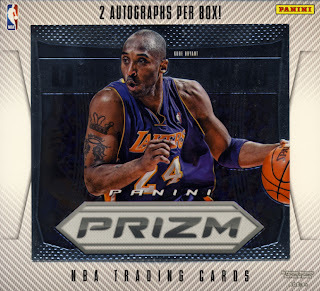 2012/13 Panini Prizm Basketball is one of those rare releases that gets it right the first time out the gate. With a simple configuration and low number of inserts, all that is left is to concentrate on the base cards, which in this case are spectacular. It is difficult to look at these stunning cards and find fault. The truth is, even without the Prizm parallels, this set of cards works on it’s own merit. But add the soaring secondary market values of the Gold Border cards and you have the makings of one the best card releases of the year, Basketball or any other sport. Though on the high end of the category from a cost standpoint, we classify Panini Prizm as trading cards. Each box contains 20 - 6 card packs with a promise of 2 autographs, 2 Prizms and 2 Inserts in every box. It is hard to find much of anything good to come out of a lockout shortened season, especially when it comes to trading cards. 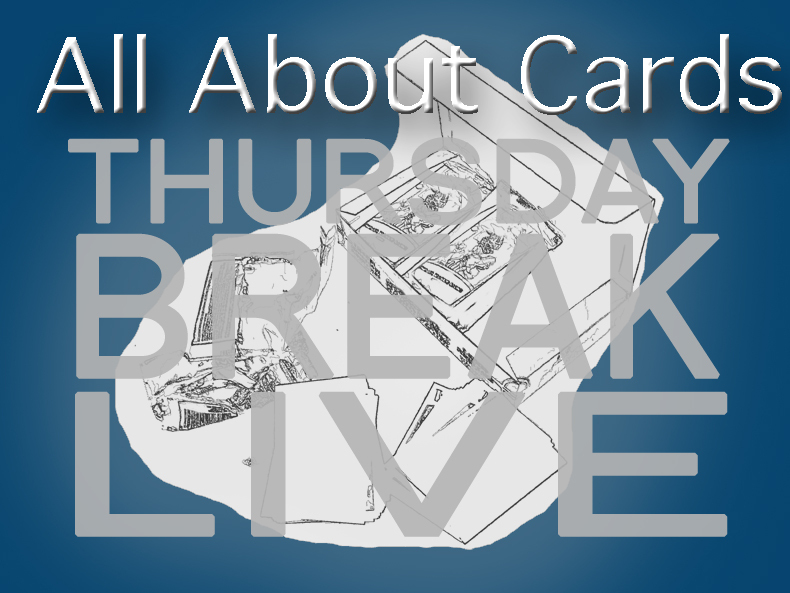 It messes up rookie cards, forces a smaller slate of cards and tends to dampen enthusiasm. But that is usually followed up with good things in the season that follows a shortened one. 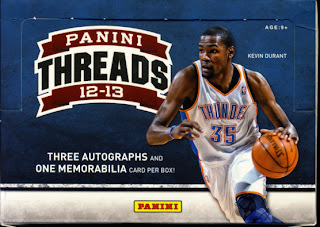 That is evident in the 2012 – 13 line of Basketball cards from Panini. Double the rookies, more time given to releases and a concerted effort to bring fans back into the fold translates into great sets of cards and 2012/13 Panini Threads Basketball is certainly one of them. We classify Panini Threads as trading cards. Each box contains 24 - 5 card packs with a promise of three autographs and one memorabilia card in every box. 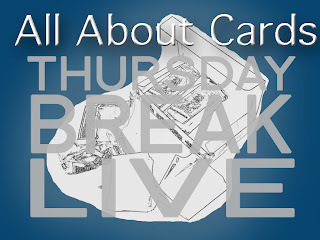 Tonight on our very first edition of Thursday Break Live we will be taking a look at 2013 Topps Baseball Series 1 cards, 2012 Panini Contenders Football and we will do a live break of 2012-13 Panini Timeless Treasures Basketball. 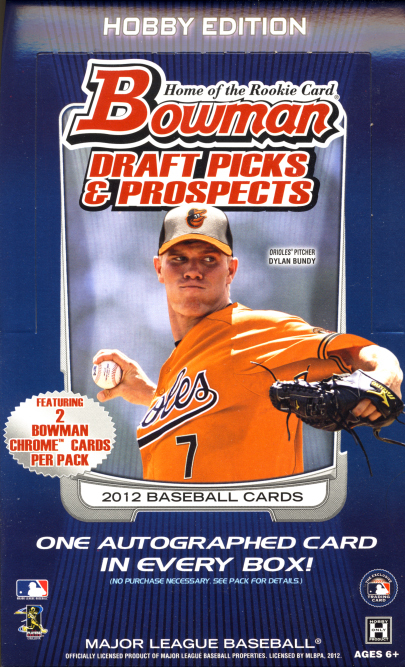 If you’ve collected any 2012 Bowman Baseball cards, passing on a box of 2012 Bowman Draft Picks & Prospects Baseball would be silly. 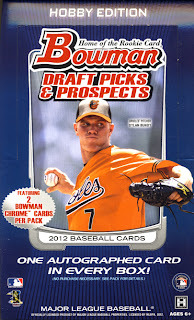 And for those of you that have not picked up any Bowman, This is a great way to get in on good prospecting. There are still quite a few notable names to collect here, but the gems could be names that will reveal themselves a few years down the road. We classify Bowman Draft Picks & Prospects as trading cards. Each hobby-exclusive box contains 24 - 7 cards per packs with a promise of 1 autographed card in every box. Yesterday Topps tweeted they had some BIG news to share. Now we know that tweet was meant to be taken literally. 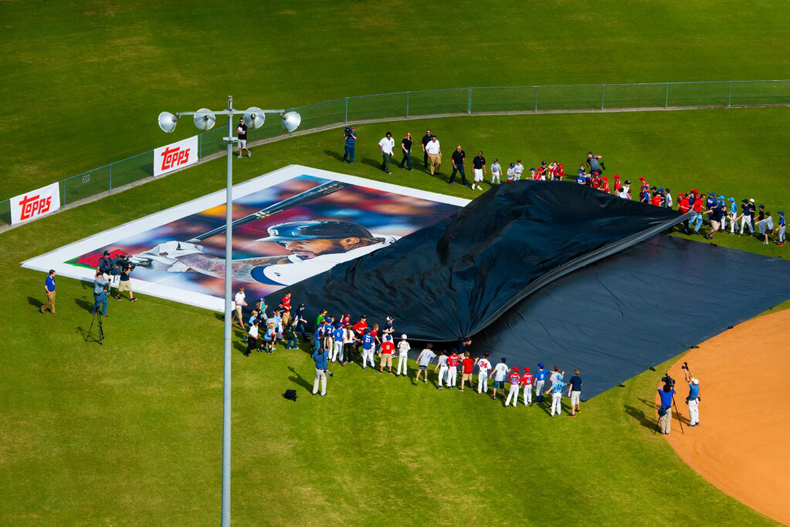 Lakeland, Florida is once again Tiger Town USA as spring training returns today. 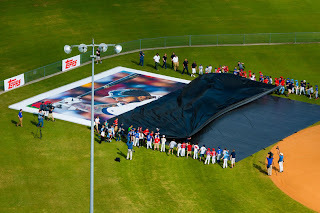 It was there that the Topps Company revealed the World’s Largest Baseball Card, created to celebrate the return of baseball nationwide and the new 2013 Topps Series 1 Baseball Cards.